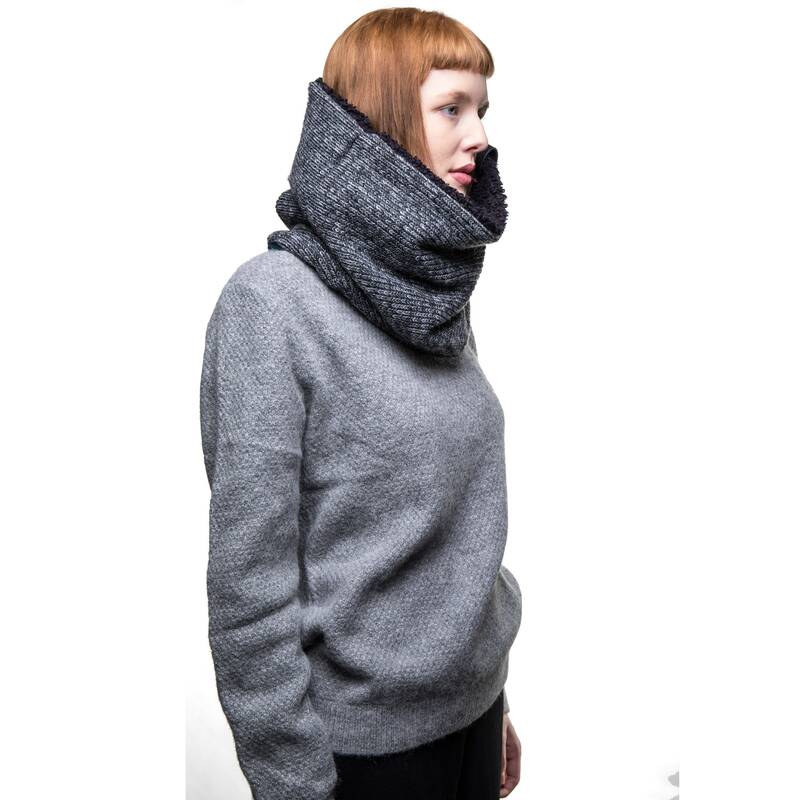 Super warm and cosy winter wool scarf or cowl scarf! 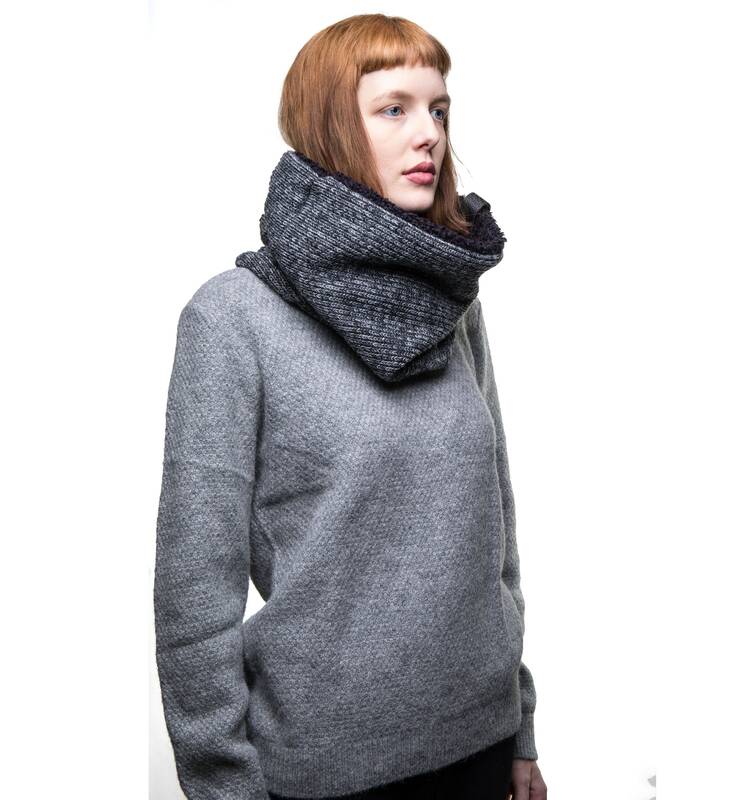 This cowl is designed for the coldest of winters and great for biking and winter sports. 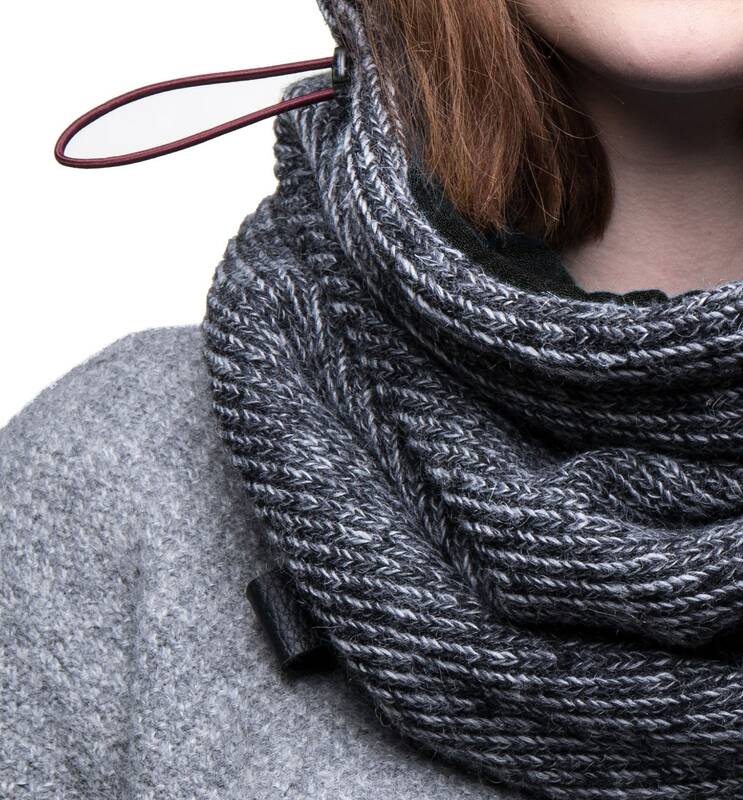 The soft faux lamb and polar fleece lining of the scarf keep you super cozy even in the harshest of climates. 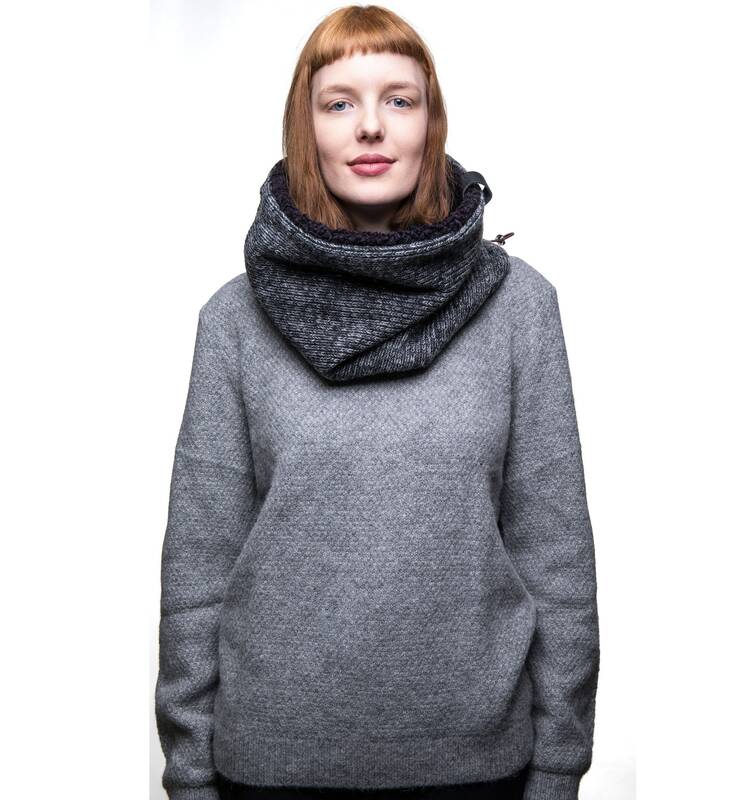 "Awesome stylishly item & very soft. Will definitely be on the lookout for more..."
"Amazing product! I would recommend for everyone! Absolutely the best piece in my wardrobe! The details are lovely and the materials really soft and nice. BRAVO!" 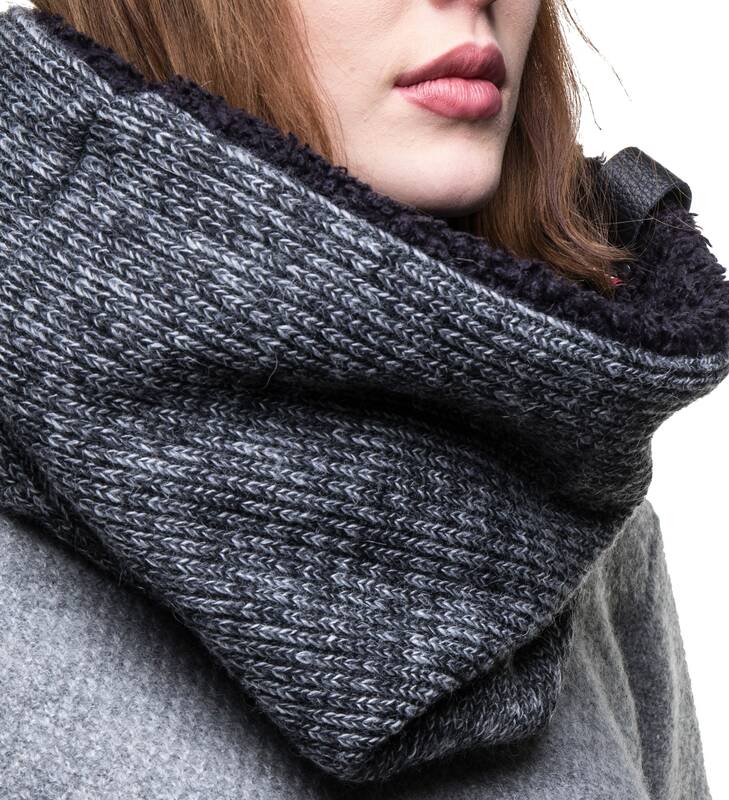 Outer shell of cowl: wool blend, leather: The outer shell is in a timeless and classic chunky knit wool in various shades of grey. Finished with an optional leather detail. 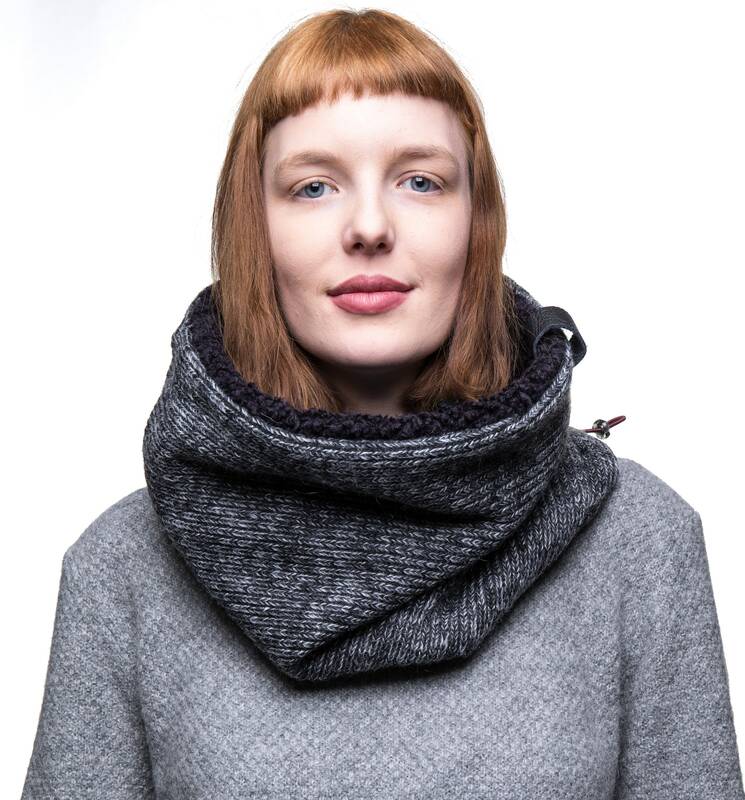 Inner shell of fur scarf: polyester faux lamb, cotton blend. Nice, soft and thick faux lamb with a mustard melange cotton bottom layer for added comfort and it can be worn upwards when you're not in the mood for lamb. Lovely craftsmanship and sellers were super chill and easy to work with. Def buy from this small business because you won’t be disappointed.